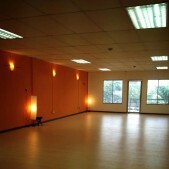 Located in Bukit Jelutong, Sun Yoga KL is surrounded by open spaces, light and Nature. This is the home of Sun Yoga Cafe. On Thursdays, the Sun Yoga Kids Playgroup takes place in the morning, and Saturday afternoons are entirely taken over by children’s activities. We try to build a community centre feel to our oasis in the hustle and bustle of Kuala Lumpur and its satellite cities, offering yoga classes that suit all abilities and all age groups. Located in Taman Khidmat, an older well-established neighbourhood in Kota Kinabalu, Sun Yoga KK is within a stone’s throw from Kinabalu International School. Here, you can find a peaceful and non-intimidating place to practice your yoga, under the guidance of a very small group of teachers trained in the Sun Yoga tradition. Because of its proximity to beautiful nature, Sun Yoga KK often organises beach yoga and hiking up nearby Bukit Padang, a popular recreational spot. 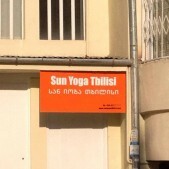 Established in 2009, Sun Yoga Tbilisi has always been the meeting place of expatriates in Georgia. At Sun Yoga Tbilisi, practitioners come for a wide range of classes, including Qigong and Eastern Dance, as well as warm friendship, social and children’s activities. In 2014, we moved to a new studio to accommodate our expanded children’s programmes. Bukit Padang 88450 Kota Kinabalu. We would love to hear from you! You can reach us through the contact form here. Copyright © 2012 Sun Yoga. All rights reserved.